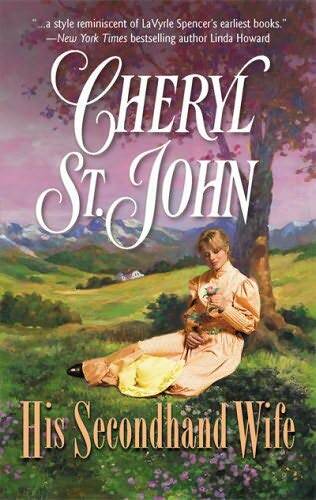 American-Western, Endearing Hero, Good Read, Harlequin, Historical, Review, Tepid! I don’t ever remember trying out a book by this author previously. I gave this book a ago because this title kept cropping up on various threads in the Amazon discussion forums. Though this novel didn’t meet all my high expectations, it is a sweet and uncomplicated read that I enjoyed after the roller coaster ride of reading After the Night. Noah Cutter is a man who has severe scars on the insides and the outside. Ever since an accident during his childhood scarred him for the rest of his life, Noah is a man who has resigned himself to living a solitary life till the end of his days. Salvation comes when his step brother Levi who has always been the outgoing and cheerful one in the family ends up getting killed because of his hooligan lifestyle. It is then Noah comes to know that Levi had taken a bride five months back and that it is up to him to deliver his sister-in-law the news of her husband’s demise. Katherine is a woman who had always led a hard life. With her father abandoning her mother whilst she was quite young, Katherine had always been on the receiving end of her mother’s bitterness. Katherine had not known a life where she didn’t have to work all day long just to put a roof above her head and a warm meal on the table. When Noah turns up on her doorstep with the news of Levi’s death, it is as if all her hopes of a better life die along with him. But Noah seeing that she is pregnant with Levi’s babe and witnessing firsthand just how vicious Katherine’s mother was to her, Noah takes her along with him to his ranch so that Katherine and the babe would have a better life. To Katherine, the world that awaits her is one filled with wonderment. The luxurious life that she finds in Noah’s home makes her realize that everything Levi had done and said were all lies. At Noah’s place, Katherine meets her mother-in-law Estelle to whom she takes an instant disliking to because of the abhorrent way that she treats her stepson. Once Katherine enters into his life, Noah who has always craved solitude finds himself in need of hearing the constant chatter that Katherine keeps up whenever they meet. Noah is surprised by the fact that Katherine doesn’t find his scars in the least bit revolting and bit by bit starts to feel comfortable around her. Estelle, wanting to keep her grandchild in the family counsels both Katherine and Noah to get married to each other & thus Noah proposes marriage to Katherine. Noah believes that he would never be able to give Katherine what she truly desires though he knows Katherine is a woman with simple needs. Katherine craves to be needed in the new life she embarks upon with Noah and it is a slow journey for these two towards a happily ever after. This is a beauty and the beast themed book with an evil stepmother added to the mix who is eloquently put in her place by the beauty. My favorite part of the book was just how tenderly Noah cared for his wife, unknowingly giving her his love, all the while thinking that he is not worthy enough for his beautiful wife. You are most welcome. It was a good book.